Out of all the herbs grown in my summer garden, rosemary is my favorite. It may not look like much to most people but this bushy plant with bristled foliage is an asset to perfumeries, decorators and chefs everywhere! The plant’s fragrance is its claim to fame since the needles are used to infuse scents found in shampoos, lotions, soaps and several aromatic healing elixirs. The Queen of Hungry once believed that a drop of a tonic saturated in rosemary had been responsible for curing the pain of gout in her left foot. The majority of practicing herbalists also state that it can be helpful with ailments associated with backaches, memory loss and also especially stress. Cooking with rosemary is also a treat since you can completely change the taste of a dish just by giving it a little seasoning of the pungent leaves. Foods that react particularly well are lamb and mutton, making the meat flavorful with a delicious earthy essence. 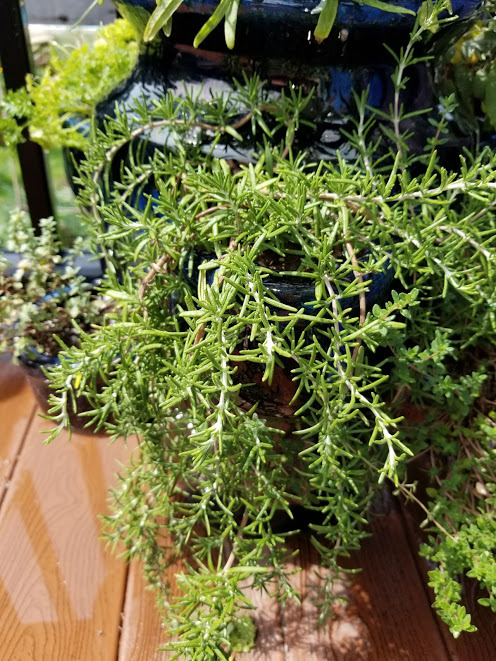 Another way rosemary is used in the kitchen is by actually implementing the stem as a shish kabob for pork, chicken or whatever else you plan to throw on the grill. By piercing the food through the pointed tip of the stick, flesh naturally becomes saturated by the marinade, hence morphing the barbecue into something indescribably out of this world. 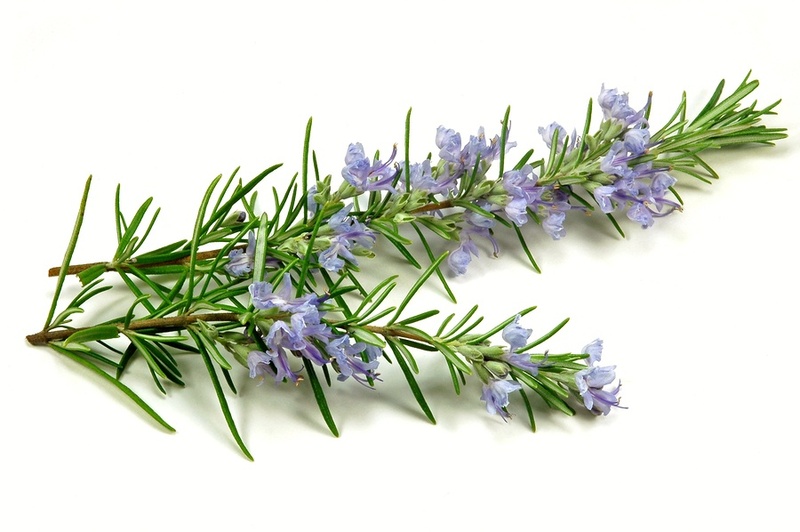 Although you may not have noticed, rosemary does grow a small purple or white flower towards the end of wintertime and because of this, the herb has become associated with its own symbolic floral meaning. Love, lust, memory and mourning can all be argued as strong themes attached to the plant and are generally dependent upon the country or religion being talked about. Also referred to as “dew from the seas” (because it was first discovered growing along hillsides close to the ocean), one explanation can be traced back to England where the plant was a sign for remembering the Virgin Mary. In other cultures, blanches are used to cover aisles in churches to wish a newlywed luck during their ceremony. In Spain, rosemary is dropped along the cathedral’s floor during Holy Week and in other parts of Europe; they are planted near tombs to honor the dead. In Asia, rosemary is used as a medium for contacting the dead, so I guess it all depends on where you are to decipher the proper meaning of the herb.